The horror and vinyl spoken arts specialists at Cadbra Records present another new tale of weird fiction, preparing for the release of Thomas Ligotti’s The Bungalow House on deluxe LP. The story is read by Jon Padgett, and the album scored by Chris Bozzone. The label has partnered with the team at Modern Vinyl to issue a pre-release audio sample of the album, as preorders are made available this week. 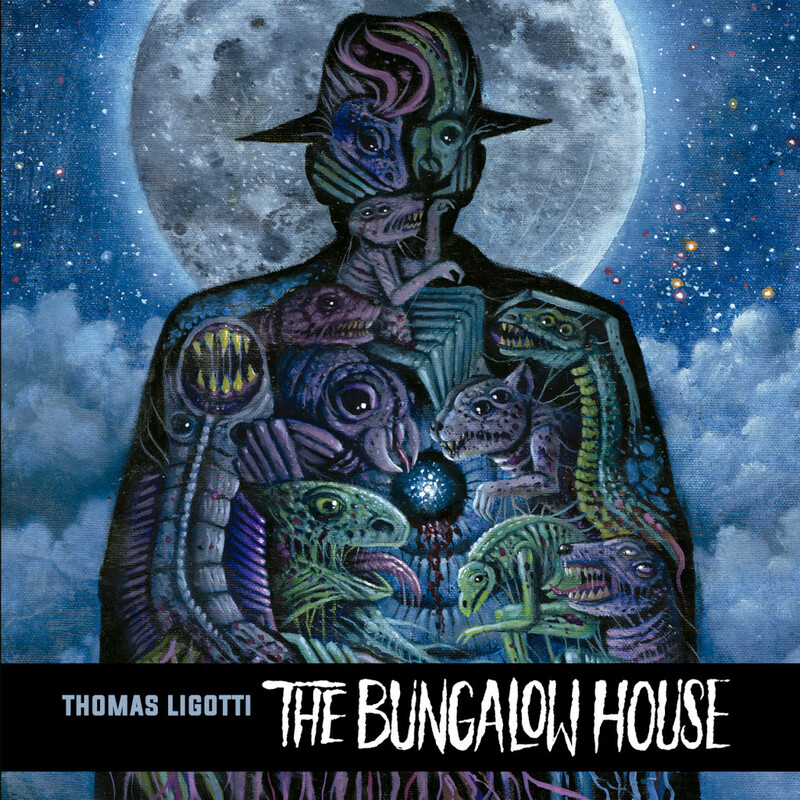 Hear the preview of Thomas Ligotti’s The Bungalow House at Modern Vinyl RIGHT HERE. 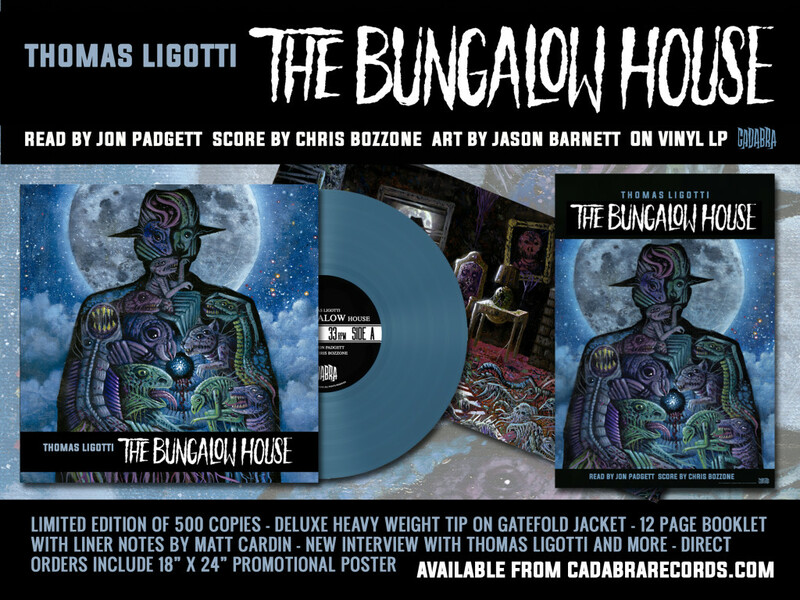 Cadabra Records will release The Bungalow House in a limited first edition of 500 copies pressed on color 150-gram vinyl and is housed in a deluxe heavyweight tip-on jacket. The record includes a 12-page booklet with an extensive essay by author Matt Cardin, a new interview with author Thomas Ligotti, and a 18″x 24″ promotional poster showcasing the newly commissioned art by Jason Barnett. An early bird package comes with a limited cassette tape with an alternative excerpt of the dream monologue sequence. The Bungalow House will see release on Friday, May 11th; preorders will go live tomorrow, Tuesday, January 23rd, at THIS LOCATION.